As the name suggests, this DVD is concerned with capturing some of the world's most interesting bulk haulage operations. Travelling to the USA, Canada, Britain, and Western Australia in order to obtain incredible footage, the CPP team have filmed a wide variety of operators utilising their skills and their machines to tackle the jobs at hand. 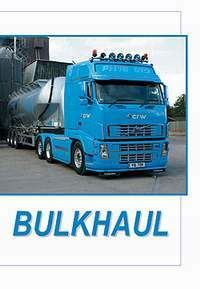 This DVD follows twin-trailer operations in Michigan, USA; twin-steer rigids with trailers in Canada; and a bulk tank artic in Britain. Also included is a massive 194-tonne four-trailer roadtrain haul in Western Australia.